Sometimes the most important consideration about your hardwood flooring is where it ends. When the edge of your hardwood flooring falls away to steps, whether that’s a single step, a sunken living room, or a staircase to the first level, it opens up a whole new consideration for your flooring. The first consideration, and one you should take into account before you choose a company, is what services a company offers. Many companies offer flooring services but do not offer nosings or stair treads, which forces you to hire a separate company to do that work. Often times this leaves you with nosings or treads which don’t match. This could include different colour tones, or different sheen levels (less gloss, more gloss). 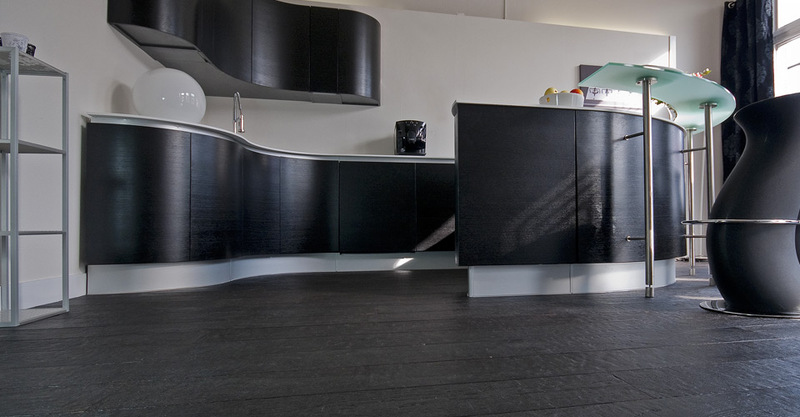 The best way to avoid a multi-hued floor is to hire a company who can complete every aspect of your floor installation, including the treads and nosings. The best way to ensure matching nosings and treads is to choose a company who can fabricate them from the flooring product itself. This will eliminate large scale colour differences. Once you’ve found a company that can cover your floor and stairs, you have to decide what kind of treads and nosings you want. 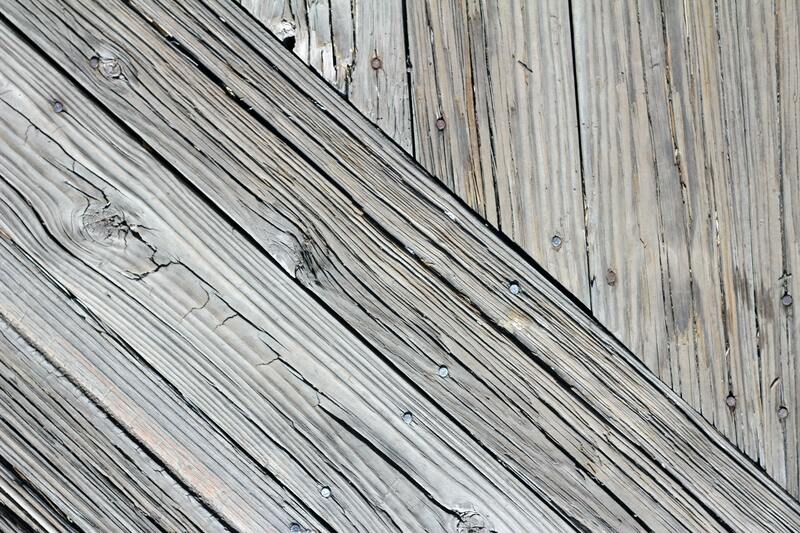 There are many options in stair tread profiles – rounded, square, or something in between. A good millwork shop can create the perfect stair for you, customizing the depth of the nosing, and its thickness. All these considerations influence the design of your stairs, making them flow beautifully with your home – or stick out as after thoughts. Be sure to review the company’s past work to make sure you aren’t left with work that doesn’t meet your standards. 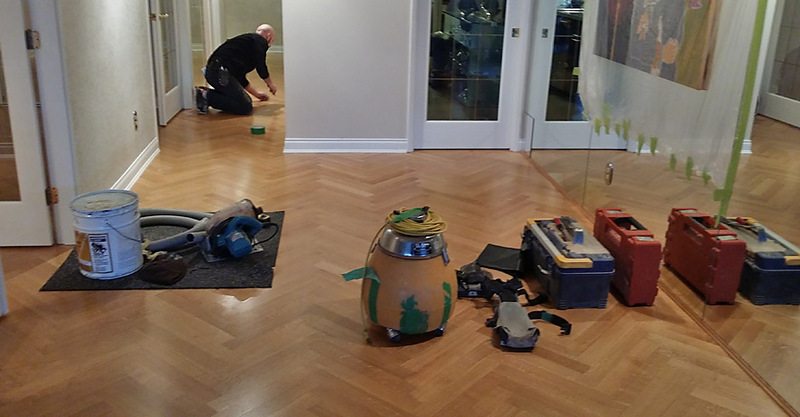 Installing new hardwood flooring or redoing the floors in your home or the home of a client? 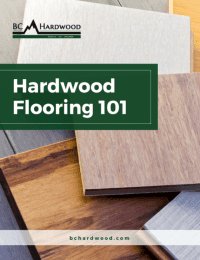 Get our guide “Hardwood 101” and we’ll show you exactly what you need to know to recognize and install the best hardwood flooring possible. Click here to get the guide. 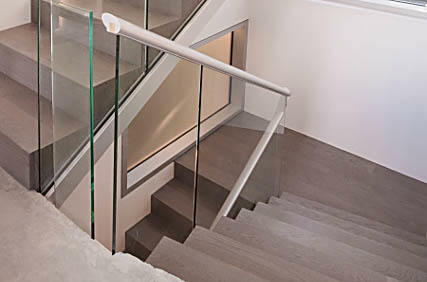 Some of the most complicated details of a project are how the stairs interact with railings, landings and walls. However, a company possessing experience with different sizes of treads can reduce costs in the planning and templating stage. A good millwork foreman will work with on-site staff, planning your stairs and nosing installation to fit in with the construction schedule, protecting your treads from damage during construction. At B.C.H. we’ve never let anyone else finish off our projects because we have the experience and knowledge to cover every aspect of the process, from planning, to finish, and all the steps in between. We advise contractors on exactly what’s needed for preparation of stringers and stair structure, ensuring the site is ready for the treads and nosings to be installed. We then fabricate your custom treads at our in-house millwork shop, waiting for the end of the project to have them installed. When it comes to stairs, we know our business, inside and out. We can create floating 6-sided treads that sit on a steel stringer, rounded scroll treads, complex curved nosing details – anything you want, and we’ve done it before. Our stair technicians are well-versed in building codes, knowing when tactile warning strips are required, and how to install them properly. Stairs and nosings are the beautiful finishing touches on a floor – or the sore thumb that draws negative attention for not matching and complimenting the floor. Make sure your project captures attention for the right reasons. Give B.C.H. a call today to set up a consultation. For over 114 years, BC Hardwood has been providing high-quality hardwood flooring installations for Vancouver’s best architects, designers, contractors, and homeowners. 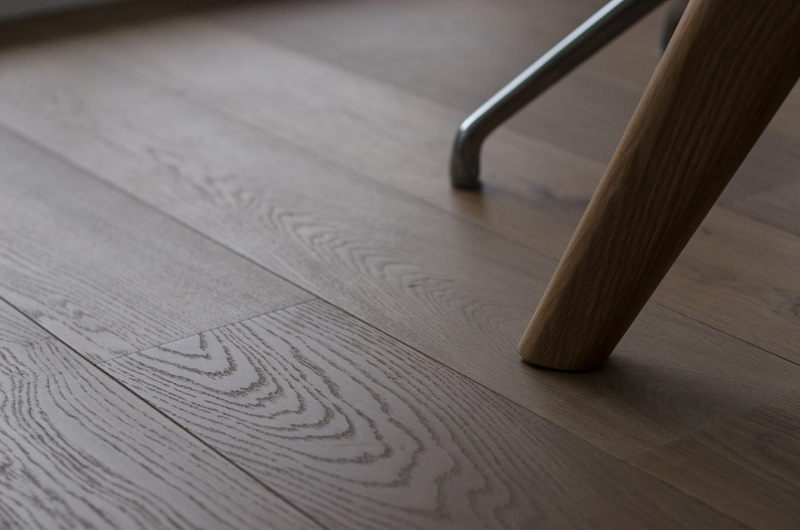 Our quality floors and expert craftsmanship have stood the test of time. 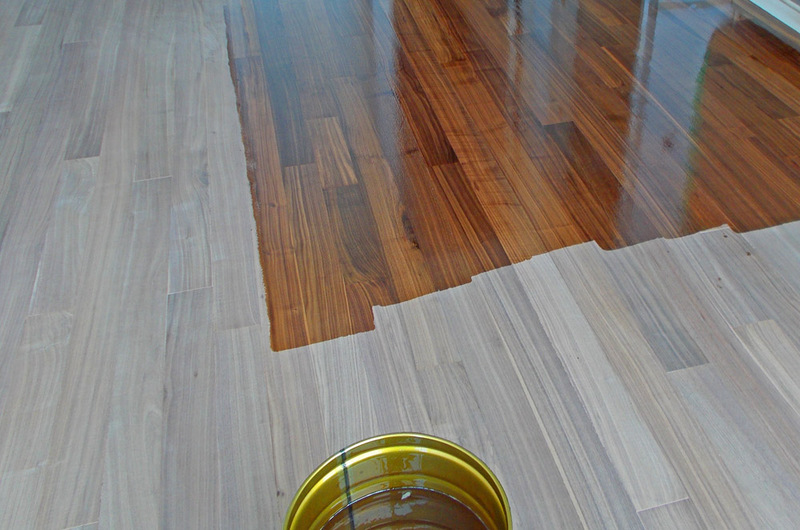 We also specialize in refinishing, as well as gymnasiums and large-scale floors.